The Swedish musician Jonathan Johansson is to release his new album ‘Lebensraum’ 18th of March. 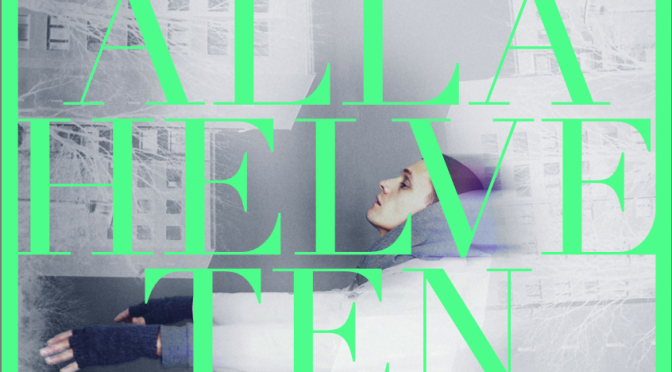 Jonathan recently released a video ‘Alla Helveten’ containing all the lyrics printed on screen. Jonathan once told that a lot of people are complaining because they can’t hear what he is singing. Therefore he decided to display the lyrics on the screen. When Jonathan and his friends were making the video, they came to realise that with the lyrics being shown on screen, the video became even more powerful. We love this video. We love Jonathan Johansson. We love Malmö. 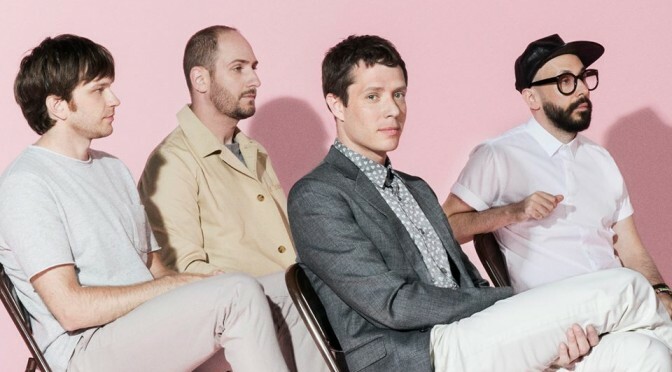 OkGo is really one of my favorite bands when it comes to making awesome and inspiring music videos. A lot of their videos are filmed in only one sequence which means they have to make everything correct throughout the whole video. Otherwise they have to start all over again. The videos contain a lot of humor and even though some of the videos may look “sparingly” designed, you never reach the point when you get tired of them. Besides from their awesome videos, OkGo’s latest album ‘Hungry Ghost’ just got available on Spotify. Have a listen! 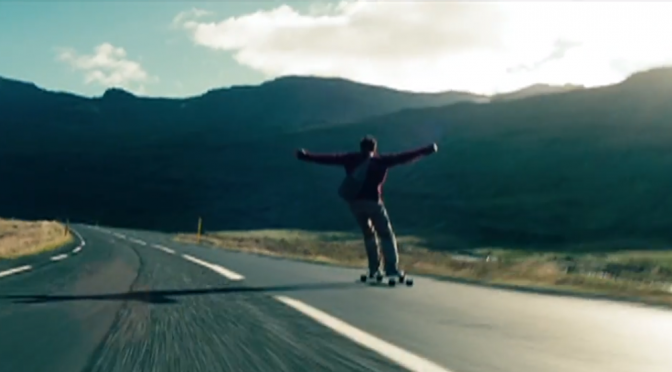 The Secret Life of Walter Mitty is a great movie, an amazing trip throughout imagination and the real world. It is beautifully filmed and filled with music for all the sences. The soundtrack includes several tracks from Swedish song-writer José Gonzales. Enjoy these tracks as you dream away to or plan your life of adventure. Take the leap. And if you haven’t seen the movie, watch it! It is full of wit, humor and beauty. Since the early autumn of 2013 one song has been played a lot on Swedish radio that I just love. And I happen to know one of the directors to the beautiful and dreamy video to the song Jubel by the French duo Klingande. His name is Johan Rosell. He’s 27 years old, currently living in Stockholm and he’s a typical freelancer, with big dreams and ambitions. I had a quick chat with him about the video and how to be a music video director! It was a very fun but hectic experience! We shot it on location in Möns Klint, Denmark in the end of august 2013. Since we wanted most of the video to take place during magic hour we didn’t have a lot of time to get all of the shots we needed. At one point we were chased by an angry Danish farmer who didn’t like that we were walking around on his field, but we returned the next day with a bottle of wine and he forgave us! How did you get in contact with the band? It was a little bit random and sort of a lucky coincidence for me. I had the song on repeat the entire summer and was very much in love with it. So it came as a very happy surprise when Michael Johansson (whom I co-directed the video with) called me and asked if I wanted to do it with him. He knew the record label from working with one of their artists before. How did you end up becoming a music video director? What have you done before this? A couple of years ago I moved to Sydney to study film production at Sydney Film School. I didn’t really know anything about film making when I started, but I thought that if I didn’t like the school or making films at least the weather in Australia would be nice. However, it didn’t take long until I realized that making films was a lot of fun. When I moved back to Sweden to study screenwriting in Stockholm I took an internship position at a production company on the side. Since then I have been doing freelance work, mostly on the location department in film and TV-productions. In between those projects I also make short films and music videos. My latest short film is called ‘Första Strulet‘ and is about a fourteen year old boy who attends his first party hoping to kiss someone for the first time. Music and film, do you think there’s a direct connection between the two? I think so! The right choice of music can really enhance a film sequence. It can also work the other way around, where a really bad music video can make a good song not so good anymore. Would you like to call yourself DIY? Not really! I wouldn’t be able to finalize a film project all by myself, or at least it wouldn’t turn out very good. I always try to fool really talented people into working with me. Now, just enjoy this and remember that it’s only six months until it’s summer again. 2013 passed quickly, as we’ve worked to expand our network, strengthen our internal processes, gain partners for the year ahead, and just have a lot of fun. The events below are listed chronologically – the numbers don’t necessarily indicate order of importance. 2013 kicked off with an amazing show completely crowdfunded by fans through Emues with Poplöst and Funked Up. Suggest a gig with Poplöst and/or Funked Up at a venue near you (through Emues of course)! We want to put millions of people in the position to book concerts, shows, gigs and tours around the world, focusing on the live music experience. We want artists to be able to perform wherever they have fans without any geographical boarders and financial risks. We want to make the live music business fun, transparent and cost-efficient. Emues.com is an open social platform connecting artists, venues and audience by providing a service to set up, promote and sell live music events on their own terms. Emues.com enables anyone to suggest, promote and book live music events through crowd-funding and customer-driven models to secure successful tours and shows for all parties. Emues brings you the opportunity to decide who’s on stage in what city and when, utilizing brilliant open-source technologies and social networks that you enjoy. Midem was also a fun space for us to meet many new and interesting people. Emues crew did Southeast Asia, and had a great time in Kuala Lumpur, the bustling and hip capital city of Malaysia. Markus hit the underground scene in KL, and among other locations, digged hip hop at The Venue. Oh, and did we mention that we had the chance to go diving Riz Zaizizi, winner of Malaysian Idol? We’ll keep you posted when the video is released (yes, it will be broadcast on Malaysian national tv). See more photos of Malaysia on Emues’ Flickr. 2013 has been a year of hard, hard work, but it was wonderful to invite our intern Maja Goffe on board! This DJ extraordinaire and comms girl made a fabulous entry into the Emues Crew in 2013 and has contributed with a lot of great work. Read Maja’s blog posts here! Summertime is never missed out when listing highlights of the year (summertime in Sweden especially). Must we say more? Here’s one of our favorite memories, Bono’s introduction of Stevie, the one and only. Emues was at #GlobalCitizen Festival this weekend. Love when live music does good. See more photos from Global Citizen Festival in our NYC set on Flickr. Minc Malmö is the hub for innovators and entrepreneurs in Malmö, Sweden, one of the world’s most innovative cities. It has been an honor being a part of Minc and it’s a fabulous place for an office. Our Founder, Markus, is now hanging on the wall of Minc Malmö, although he’s not there in person, he’s sending y’all a friendly “hello” and “go for it!”. CMJ Music Marathon takes over New York City every year as the most important showcase festival in the world, with over 1400 bands playing around the city in 5 days and nights. Emues hit the streets this year and attended several gigs during CMJ. Read Julia’s post with 2 of her highlights. Besides Social Good Summit, Global Citizen Festival and CMJ, we spent some great weeks in New York City. Yes, it is the best city in the world. Founder and CEO @wklndr on an early morning walk in #Williamsburg. See more photos from New York City in our NYC set on Flickr. At the end of the year, Emues arranged a showcase, with 3 local bands (Funked Up, Anna Jadéus and tontine) at MittMöllan – a hip marketplace in the middle of Malmö, Sweden. Photographer Inez Dawczyk took some fabulous photos. View more of Inez’s photos! Thanks for last year! Here’s to 2014! 2013 has turned into 2014 and we’re up for new meetings with inspiring people, like all the creative people we met last year. One example of a large amount of creativity and DIY-spirit is our newest venue. Meet Kulturhuset Framtiden in Linköping. I had a little chat with them where they present themselves and their activities. To begin with, we’re so glad to have you guys with us on Emues! Yeah, thanks a lot for hooking us up! Who and what is Framtiden? How did it all start? Kulturhuset Framtiden was started and is run by our small collective Streetexpressions, based in Östergötland, Sweden. Streetex is me Adrian Pettersson, and my buddies Pär Carlsson, Andreas von Knudelhausen, Julius Nord and Sebastian Galo, we make art, music, tattoos, host events and more. We’ve been a crew since 2010 and have, since the beginning, talked about finding some place to have our studios and, if there’s enough room, run a small, independent art gallery where we can exhibit artist we like and throw small parties. As soon as we started looking for real we found this enormous old warehouse-space where we really could fulfill our dreams, and more. We opened in June 2013. The past week we have been posting a mini-series called ‘What’s Bloggin’ in Sweden’, and this is the final post in this series. The whole Emues Crew freaks out every time GNUČČI releases any new tracks. Her work is always composed by crazy rythm and lyrics, creative videographics and grooves! We are star struck about having her chip in to this mini series sharing her top Swedish music blog tips. Ladies and gentlemen put your hands up for….. GNUČČI! The absolute best way to discover any kind of music, Swedish or other is to go straight to the source. Stocktown is nice. You can filter by countries, this is the Swedish one. Check out previous tips by these lovely people Martin Thörnkvist, Ladyfest Malmö, and Patrik Larsson! What are your top sources for new music inspiration in your home country? Share them with us by emailing crew@emues.com, tweeting to @EmuesLive or by commenting in the comment field below. Several Swedish music industry professionals have shared their top online destinations for Swedish music inspiration. So far, Martin Thörnkvist and Ladyfest Malmö have shared their blog tips. Patrik Larsson is a guru in the Swedish music business. Involved in many exciting projects as A&R, consultant, manager and currently working at Uniform Beat, a division of Playground Music Scandinavia. Check out one of his projects, VadUpp, a creative platform showcasing emerging Hip-Hop from the Nordic countries. Don’t miss the upcoming music blog tips from GNUČČI! Stay tuned. We are super proud to be partly based in Malmö, Sweden. It’s an inspiring place for both music and startups! More and more frequently friends from overseas ask us for recommendations of Swedish music blogs and channels that are good at highlighting new upcoming Swedish music. We’d like to lighten up this week by adding some lovely music spots for you to hangout online. So we’ve reached out to some of our friends asking them for their top 3+ places to go to for their weekly Swedish music shot. We’re calling this mini-series “What’s bloggin’ in Sweden?” So the coming four days, starting today, you will hear from four lovely and inspiring friends of ours: Martin Thörnkvist, GNUČČI, Patrick Larsson and Ladyfest! As an entrepreneur, founder of the label Songs I Wish I had Written, manager for the artist Motoboy, media trend-analyst and now director of The Conference Martin surfs the world-wide-web on a minute-frequent basis for new tech, trends and music. Check him out on his website. Tomorrow in ‘What’s bloggin’ in Sweden?’ you will hear from Ladyfest Malmö through Emelie, about their best online spots for Swedish music. Stay tuned! It’s fun to explore new things, especially new music! Here’s a top 100 playlist (well almost 100, it’s still in the making) that my brother made for my sister. She recently converted to heavy metal after a trip to Berlin. My brother made this for her as an introduction to the genre and it’s sub-genres. All this based on his knowledge and taste as a heavy metal connoisseur. He has the biggest record collection I’ve seen and it’s getting bigger almost everyday. I think it’s fantastic that I have someone to teach me stuff about things I have no idea about! Enjoy! Suggest any gig, when enough tickets are sold – The gig is on! We blog about music and tech.